It’s often said that Christmas is a time for the kids, and it’s not hard to see why. With all those stocking fillers, visits to Santa, and gifts under the tree, spoiling your little ones during the holidays is easy to do, but are you neglecting your wife in the process? You and your spouse are the reason your family stands, and she probably works hard all year round to make sure your children are fed, bathed, and loved, so it’s only right to pay it forward. With this in mind, here are five ways to spoil your wife or partner this Christmas. Lie-ins are a thing of the past for most parents, but it doesn’t have to be this way. Take the brunt of the childcare one morning and let your wife stay in bed. If she’s well rested in time for the holidays, she will have more energy to enjoy the festivities and the whole family will benefit. A little pampering goes a long way toward helping a mother (or a father) feel less sleep-deprived and more like a functioning human being. Christmas can be a particularly busy time for parents, so treat your wife to some unadulterated luxury. Book her in for a spa session or treat her to that new beauty product she’s been raving about. Alternatively, if it’s a fresher smile she’s coveting, invest in a Smile Sciences Teeth Whitening Kit that she can do at home. Just be sure to afford her some alone time so she can appreciate the gesture without small people hanging off her hips. If you’re a dab hand with the cocktail shaker (or even if you’re not), ship the kids off to their grandparents one evening and host a cocktail party for her and her friends. 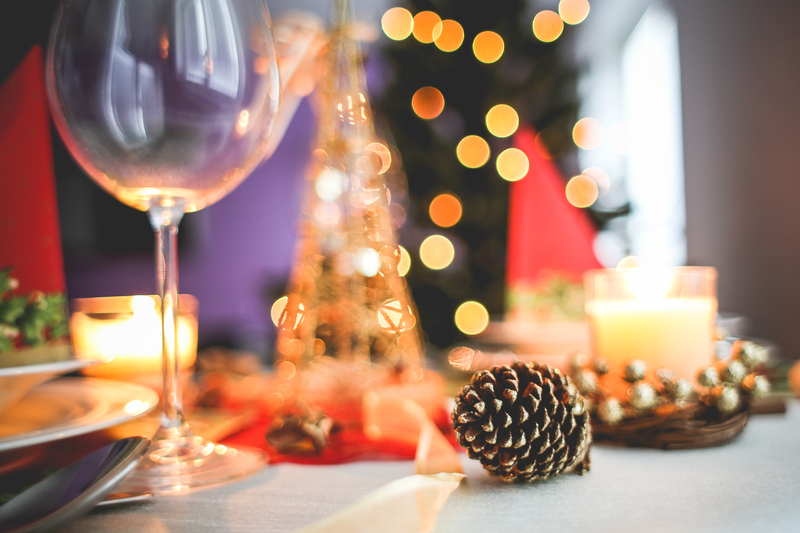 If your wife or partner stays home with the kids, she probably feels a little wistful about the office parties she’s missing out on this season, so throw one of your own. The idea is, you serve as her waiter for the evening and give her a Christmas bash to remember. Sometimes, parents get so caught up in the day-to-day routine of running the house and looking after the kids that they forget to take time for themselves. An hour of peace and quiet in the tub is all most mothers want for Christmas, so take the kids out, run her a bath. Don’t forget to add her favorite bubbles, light some candles, and lay out a soft towel. If your spouse takes on most of the Christmas preparations herself, offer to help in any way you can. Just because your wife is good at organizing family events, doesn’t mean the responsibility should always fall on her. Take some of the pressure off this year by offering to do the Christmas shopping, cook the meals, or make the kids’ nativity costumes.